Are you ready to add more enthusiasm and fun to your physical education classes? 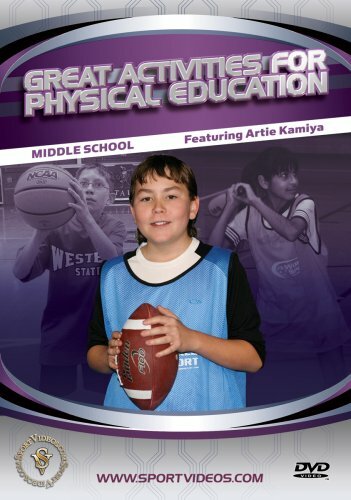 In this DVD, Artie Kamiya provides several innovative new games and activities for students in grades 6-8. The games and activities included are: Roller Ball, Which Way Kickball, Hoop Ball, Build-up Ball, High Five Softball, Straight Line Baseball, Decision Ball, Square Ball, Cone Ball, 3-on-3-on-3 Basketball, Mystery Maze, Ultimate Ping Pong, Double Time Kickball, Score Ball, Guard Ball, Ultimate Football, Group Juggling and Basketball Hot Spots. Each game can be easily implemented into any middle school curriculum.